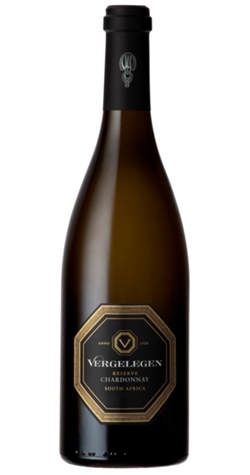 This Chardonnay has a complex nose of citrus and buttered toast aromas with a long and elegant taste. The wine shows an attractive lemony yellow-green colour with a complex nose of citrus, white peach, pineapple, spice, citrus blossoms, apricot and buttered toast aromas. The taste is long and elegant with a lively minerality. Grapes were whole-bunch pressed with no skin contact. The juice, with some clarification, was racked into 50% new French oak barrels (Francois Frère, Dargaud & Jaegle) and 50% second-fill and third fill barrels for alcoholic fermentation. The spontaneous onset of fermentation was allowed for and after 3 days the barrels were inoculated with a pure culture yeast strain. Fermentation took approximately 15 days to complete- once the sugar was fermented, all 32 barrels were topped up. Only one-third of the barrels were allowed to complete malolactic fermentation to retain optimum acidity/freshness. Vergelegen Estate, a world-class destination and three times winner of the Great Wine Capitals Global Best of Wine Tourism Award, offers visitors an exceptional opportunity to view an array of 17 gardens, a choice of dining experiences, as well as unique garden and cellar tours.